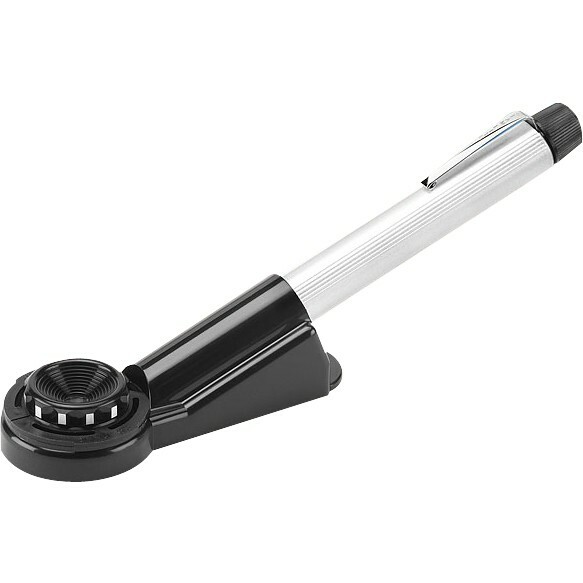 A completely new model magnifying glass has been added to the line of popular, high quality Peak magnifiers. 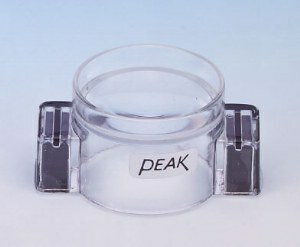 The Peak Magnet Magnifier is a unique magnifying glass that has broken away from conventional models. 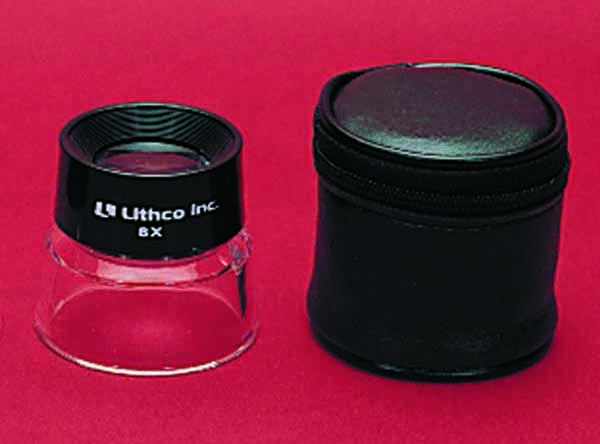 Two small size magnets have been attached on opposing sides at the bottom part of the transparent resin lens barrel. 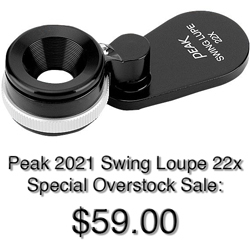 The special feature of this magnifying glass is that it can be easily and conveniently attached on slide calipers, height gauges, micrometers and other measuring instru­ments made of steel, for increased readability and accuracy. 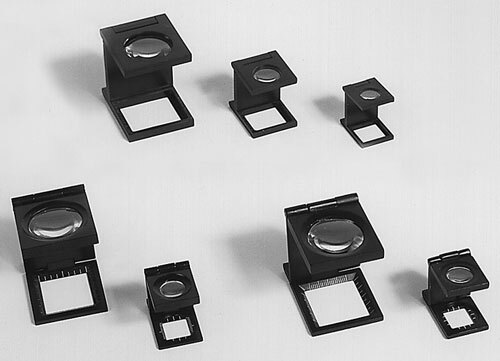 Due to the adhesion quality of the magnets, the magnifier will stay attached to the measuring instrument regardless of its position, that is whether the measuring instrument is used in an upright or slanted position. 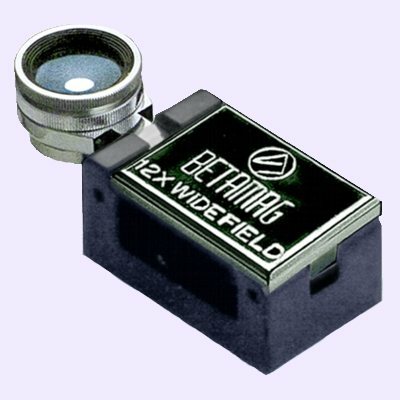 The magnifier can also be easily moved on the scale. Furthermore, the Peak Magnet Magnifier can be conveniently used on steel desks or steel panels as a combination paper holder and magnifying glass.